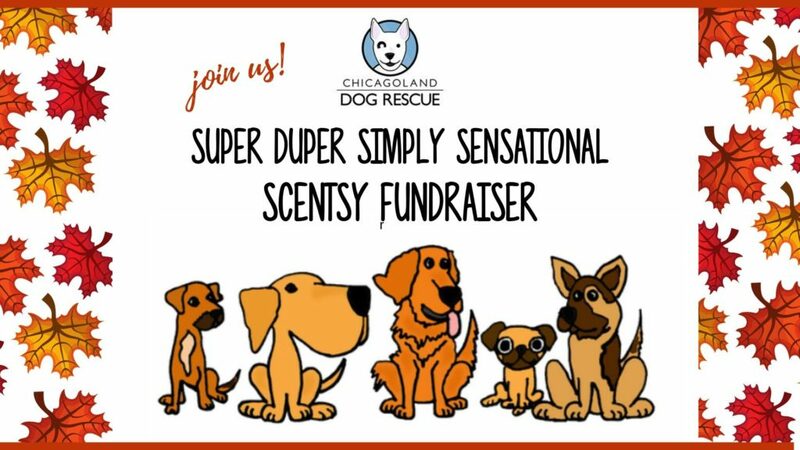 Chicagoland Dog Rescue is thrilled to invite you to an online fundraising event!! It’s happening this Thurs. Nov. 15th at 8:30 pm on your tablet, laptop or cell from the comfort of your own home. This is the newest, most innovative way to party online. This happens on it’s own website so you don’t need to be on Facebook. Just click the link below to RSVP! There is a short survey attached to the RSVP and Margie, our Scentsy lady will be doing a drawing for everyone who fills it out before the fundraiser starts. This way we’ll have an idea of how many are of you are coming, so we have enough food and drinks. (Kidding, this is an online event, silly!) When it’s time to begin the party, you’ll use the SAME link to join the rest of us. We will receive 25% of all sales! If you can’t make it right at 8:30 on the Thursday, no prob, you can just click the link when it’s a more convenient time. We know that you’ll help us make this a huge success! You can share this link on your FB page, too, that would be fantastic!